Tiny Milam County also submitted a bid to the company, but was left off the short list. In its initial ask, Amazon told candidate cities it was looking to build in a city of 1 million residents with easy access to mass transit, close proximity to an international airport, a diverse metro population and attractive recreational opportunities. The company has also made clear that financial incentives that lower operating costs will be a heavy consideration. In a statement Thursday morning, Gov. Greg Abbott, a Republican, boasted that Texas can accommodate all those preferences. "Texas is a hotbed for the tech industry, and both Austin and Dallas have proven themselves to be among the most sought after locations for companies looking to grow and thrive," he said. 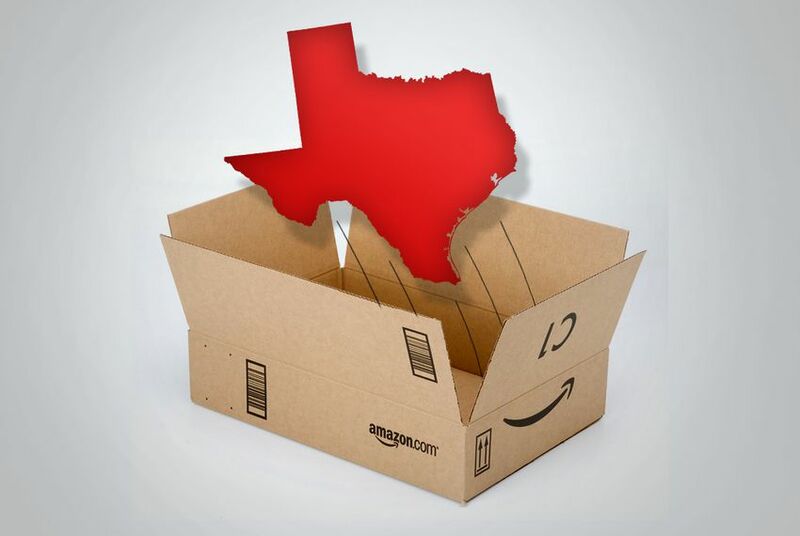 "When industry leaders like Amazon consider investing in the Lone Star State, they know that our our low-tax and limited-regulation environment will appeal to a company’s bottom line." The Dallas-area bid included more than two dozen cities in the North Texas area, including Frisco. Brandom Gengelbach, executive vice president of economic development for the Fort Worth Chamber, said all those localities are still in the running. Austin's application spanned Bastrop, Caldwell, Hays, Travis and Williamson counties. Gengelbach said he expects to sit down with Amazon officials in the coming weeks to discuss next steps in the process and seek further information about the company's needs. "We're going to stand together, ready, willing and able as a region to answer their questions and partner with them," Gengelbach said Thursday. "We have a strong labor force, we have the abilities to move products and services and people through our highways and through our great airport, we have a low cost of business and great universities." Dallas Mayor Mike Rawlings tweeted Thursday that he's "thrilled" Dallas is still being considered for the site. Amazon said in a press release that it planned to work with the 20 cities in the coming months to dive deeper into their proposals and request more information. While this week's news narrows the list of contenders quite a bit — and eliminates all the regions in Mexico that submitted bids — it brings few surprises. Long-time frontrunners like Atlanta and Denver — The New York Times algorithm's early pick — remain in the running, while the company has eliminated long-shot candidates like Stonecrest, Georgia, population 20,000, which pledged to rename itself after Amazon if selected. Amazon said it expects to make a final decision on a site this year.